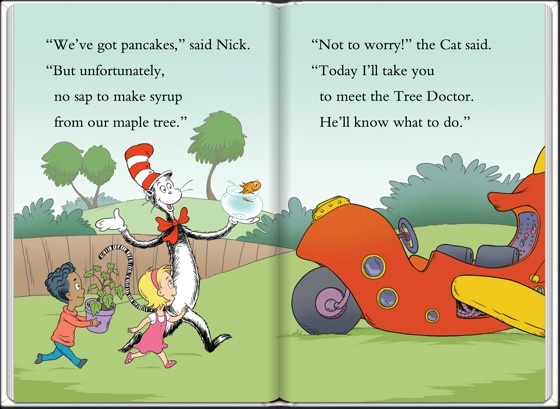 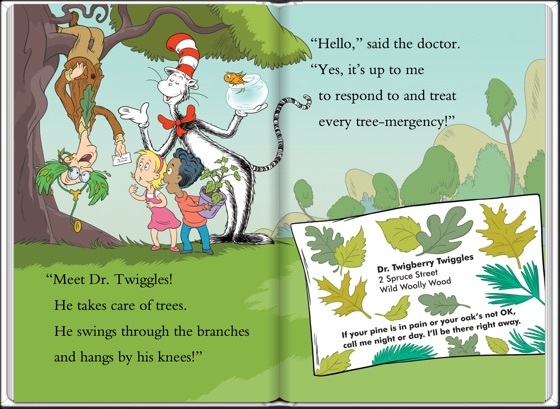 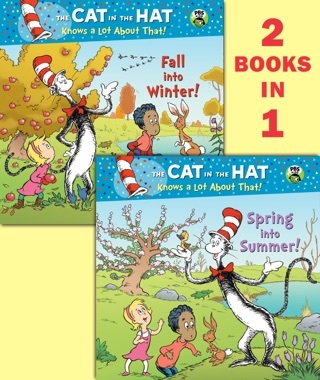 Join Dr. Seuss' Cat in the Hat as he and Dr. Twiggles help Sally and Nick figure out why their tree won't grow in this Step-Into-Reading book that's perfect for springtime reading, and yes-even pancake breakfasts! 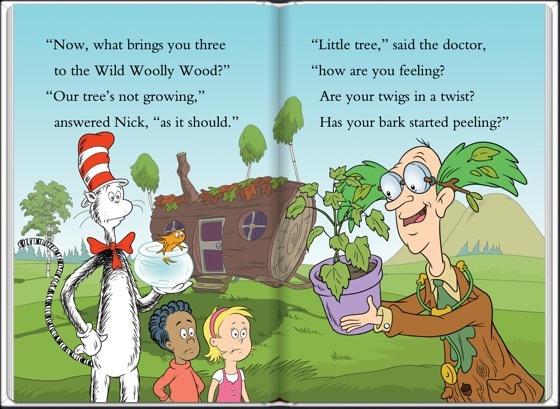 A trip underground in the Thinga-ma-jigger is undertaken, and sure enough, the maple tree needs water (which Things One and Two procure in ridiculous overabundance) and sun (which the Cat suppliments with a Brighta-ma-lighter). 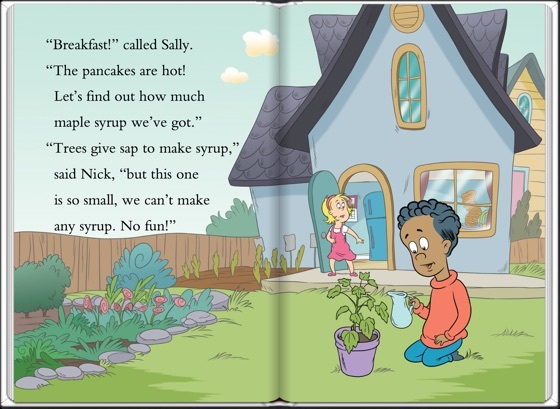 But as for getting syrup from the young sapling? 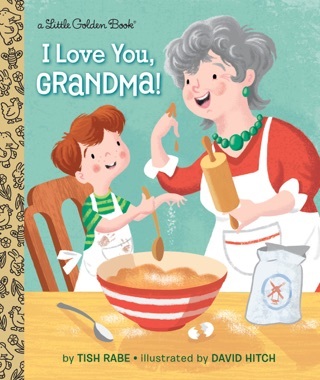 That will take some 40 years! 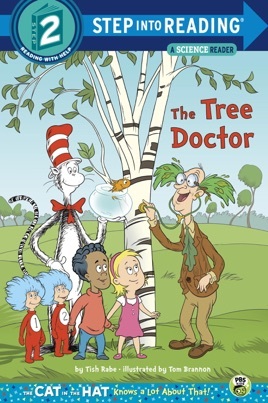 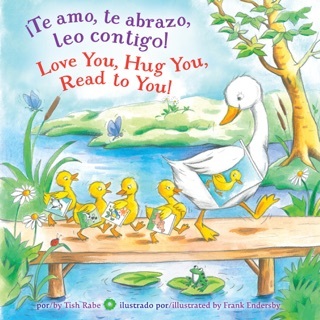 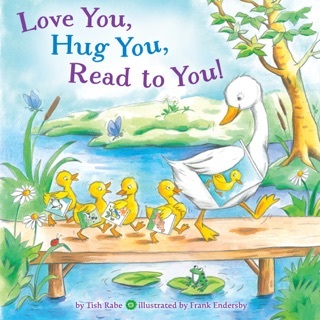 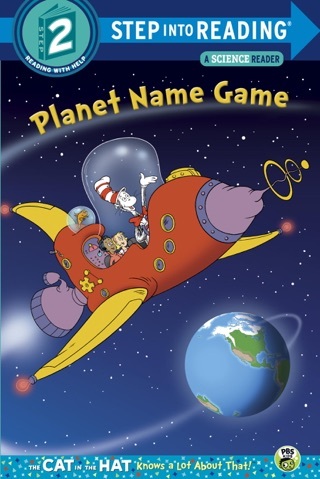 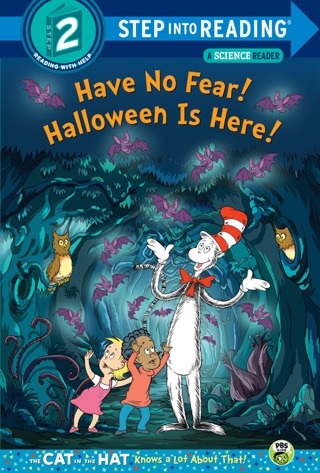 Written specifically for children learing how to read with help, this Step into Reading book is based on an episode of the PBS Kids preschool science show The Cat in the Hat Knows a Lot About That! 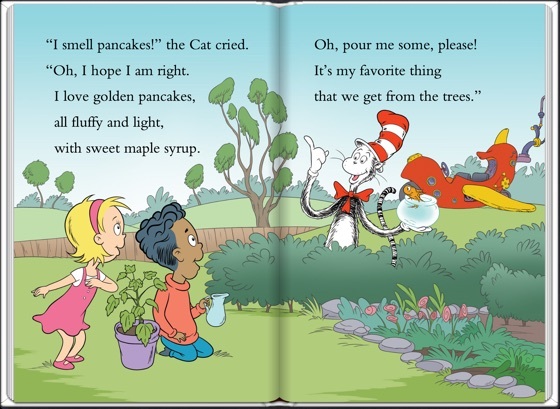 It is perfect for springtime reading, Earth and Arbor Day celebrations, and yes—even pancake breakfasts!